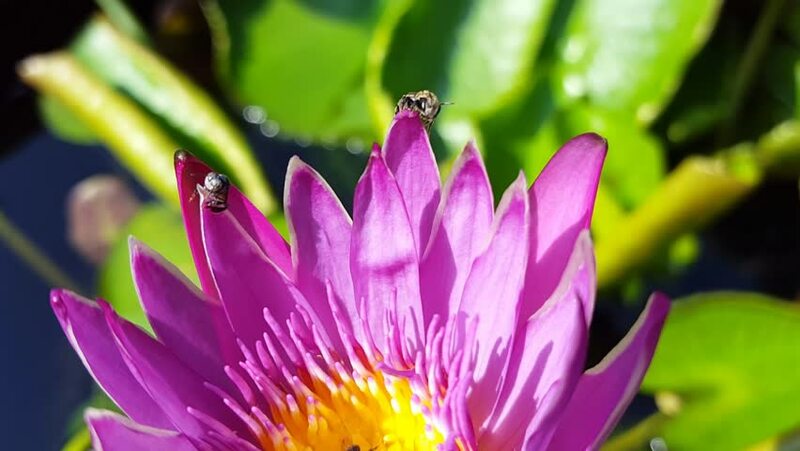 The bee is eating nectar from the lotus.The bees are seeking food from lotus. hd00:13Purple lotus has pollinated bees. 4k00:17Lotus flower in the pond and bees for nectar.